Pre heat the oven to 180 degree c for 5 minutes. Cook pasta as per the instruction on the packet and keep aside. Cook chicken with 1 tsp pepper and salt. Heat oil in a pan, add garlic fry for 2 minutes. Add all the vegetables and pepper powder. Cover and cook for 5-10 minutes. Add cooked pasta and chicken to this, stir well. Cook for another 5 minutes in medium flame. Remove from fire and keep aside. Heat the milk in a pan, add nutmeg powder. Heat butter in another pan, add flour, stir contiously to avoid lumps. Pour milk to this. Keep Stirring untill the sauce thickens. Add salt. Remove the pan from fire. Grease the baking dish with butter. Pour spagetti sauce, add pasta mixture on the top of the sauce. Then pour the white sauce over the pasta mixture. Add mozrella cheese on the top. Bake for 35 to 40 minutes, or until cheese is browned. Serve hot. Very yummy looking pasta, makes me feel really hungry. OMG! 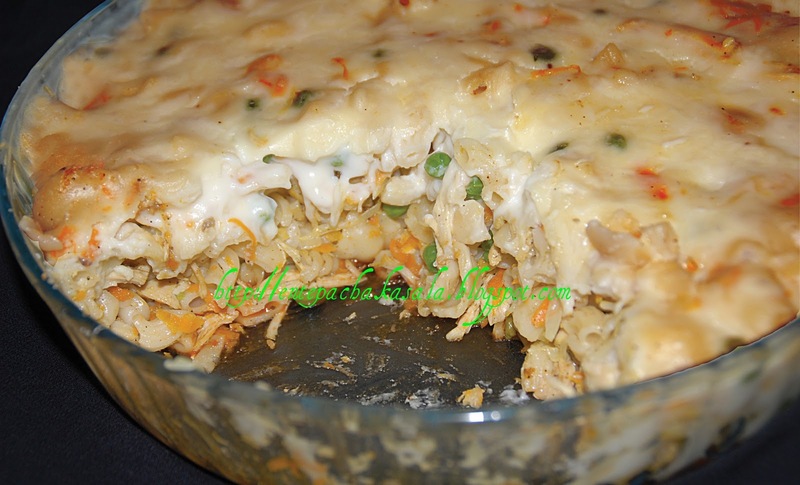 Baked Pasta looks wonderfully prepared. Loved the color of it. very innovative...must have tasted divine.. 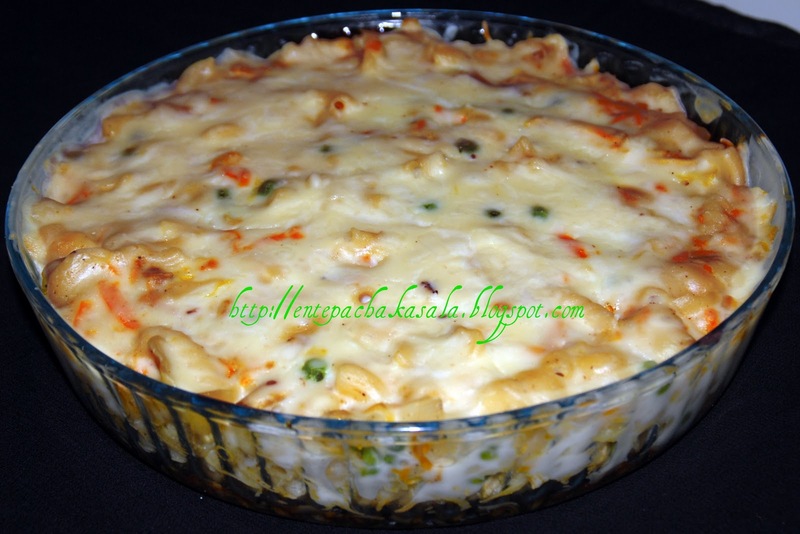 Seriously ur baked pastas makes me hungry,drooling here rite now.. Baked pasta dish sounds delicious. Love it Jaisy. Yumm yumm, picture itself makes me hungry. Njan pasta-de valiya fan onnumalla..pakshe bloggeril kerri enganathe pics okke kannumbol onnu try cheyyan thonnum..Ethum super-tempting annu! MOuth-watering clicks, Jaisy! Wow your pasta looks great,feels like diving in :). Perfect 100% perfect......!! !Great click also!!! Thanks for visiting my space dear..Oru malayalee ye koodi kandu kittiyathil happy ayi.This looks very creamy and super yummy..
Yum! I wanna make it! Pasta looks so tempting..makes me hungry too..
slurp-- looks delish jaisy !